Samsung Galaxy A80 vs OPPO Reno 10X Zoom Specs Comparison - Flip it or zoom it? Which mobile brands should come back in the Philippines? Samsung Galaxy A50 vs OPPO F11 Pro: Which is the best midrange smartphone? 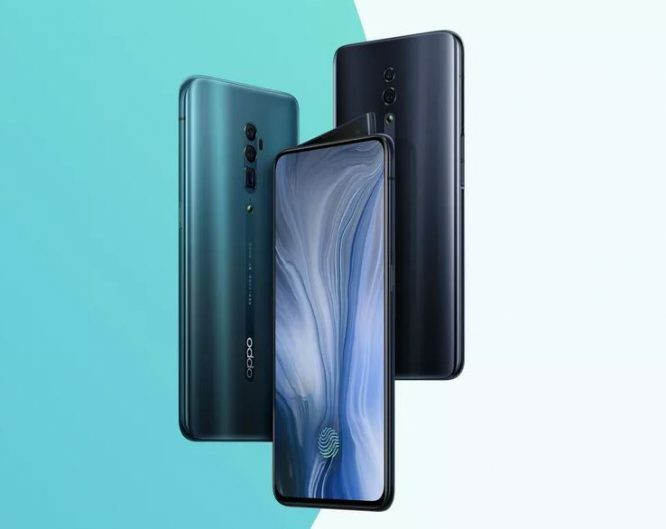 Samsung Galaxy A80 vs OPPO Reno 10X Zoom Specs Comparison – Flip it or zoom it? Oppo F11 Pro Review- Best Midrange with 48MP camera? Vivo V15 Pro Review – Best midrange phone for its price? Realme 3 Full Review: New Budget Smartphone King? Two of the hottest devices in early 2019 are the Samsung Galaxy A80 and OPPO Reno 10X Zoom. With their prices hovering around P30k, a ton of money is involved for your potential next smartphone daily driver. Would you go for a statement device or an all-around handset? Which is a better buy between the Samsung Galaxy A80 and Reno 10X Zoom? The designs of Galaxy A80 and OPPO Reno 10X are both loud and proud. With no notch in sight, these devices offer all-screen displays thanks to their motorized cameras. Speaking of, the former device sports more moving parts due to its flipping main cameras. In other words, you can take selfies and video recording using the best sensor it has. As for the latter device, selfies are handled by a shark-fin pop-up camera housing its 16MP sensor. More on the cameras, it’s going to be quality versus flexibility. The Galaxy A80 makes use of three main sensors — 48MP f/2.0 + 8MP f/2.2 ultrawide + TOF 3D sensor for depth. On the Reno 10X, it has 48MP f1.7 + 13MP f/3.0 periscope + 8MP f/2.2 ultrawide. In terms of usability, OPPO’s latest phone lets you switch from main to zoom, to ultra wide. 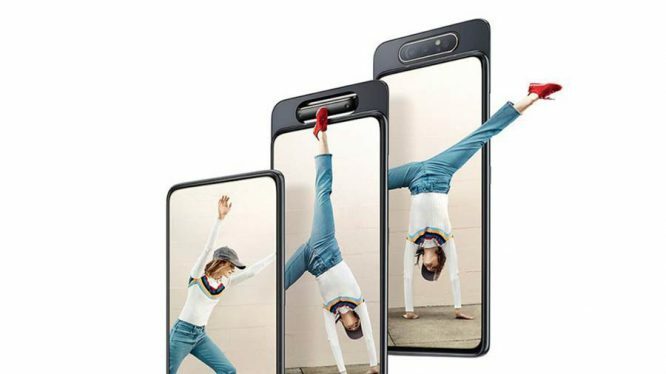 But the most important part here is the periscope camera that allows up to 10X hybrid zoom and 5X optical zoom, ala Huawei P30 Pro. There’s also a significant difference in performance. The Reno 10X packs a flagship-grade Snapdragon 855 chipset, while the Galaxy A80 comes with a lower-class but capable Snapdragon 730. Although the SD 730 is expected to breeze through games and apps, it doesn’t offer the same breathing room as the SD 855 — giving it an advantage in futureproofing. Where the Galaxy A80 stands out in performance is thru software. We might come off a bit biased here but we can’t deny Samsung One UI’s great features, like full system dark mode and one-hand reachability. Although ColorOS has its own advantages, One UI just provides an overall better user experience. Moving to longevity, the Galaxy A80 features a 3700mAh battery that fast charges at 25W. But you might achieve more screen time with the 4065mAh of Reno 10X with 20W VOOC flash charging. As for the rest of the specs, it’s a standard affair with no headphone jacks, under-screen fingerprint scanners, and USB Type-C ports. The Reno 10X starts at ~P30k(6GB/128GB) while the Galaxy A80 at ~P32k(8GB/128GB). Only the Reno device offers itself with 8GB/256GB for ~P37k. Most of you might pick the Reno 10X since it offers more value for the money, however, that doesn’t mean the Galaxy A80 is not worth picking up. Sure, there’s a price to pay for its premium package, but if you want a slightly more exciting phone to use, the A80 won’t disappoint you. Wanna know more? Check my Instagram and Twitter. Are Leica lenses on Huawei camera phones worth your money? ManilaShaker is a tech media producing insightful and helpful content for our local and growing international audience. Our goal is to create a premier Philippine digital consumer electronics resource that provides the most objective reviews and comparisons globally.